Trapped on a an airplane with barely any legroom is not the time to realize that you have five hours of free time and you can't fill it with sleep (unless you're like me and can sleep anywhere at any time). There are only so many times you can read the magazine articles about places you probably aren't going to to or flip through Sky Mall (that a lot of flights don't even bother carrying anymore) before you want to lose your mind. You could make it your mission to commit the safety codes to memory and be the emergency master if your flight ever goes down. The chances of that happening are very slim though. Here are some ways to occupy yourself (and your travel buddies) without being the weirdo who just stares into space or annoys the crap out of your neighbor by talking them to death. 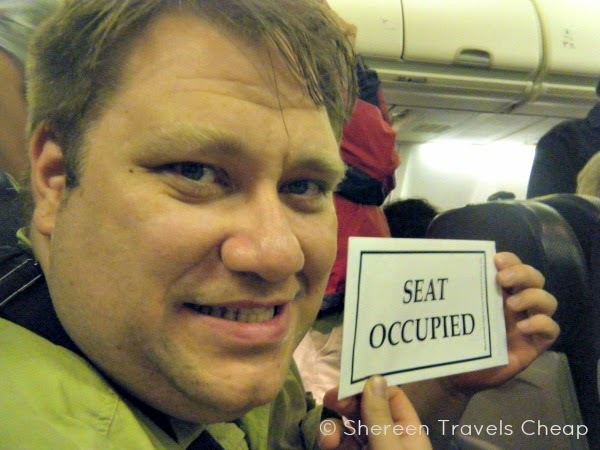 If you missed how to amuse yourself on a layover, click here. I'm a lover of puzzles. I tend to spend the time I get on the plane to the time I am allowed my "approved devices" doing the crossword puzzle in the airplane magazine, but if I'm on a long flight, I also bring along a book (or two) of logic problems. 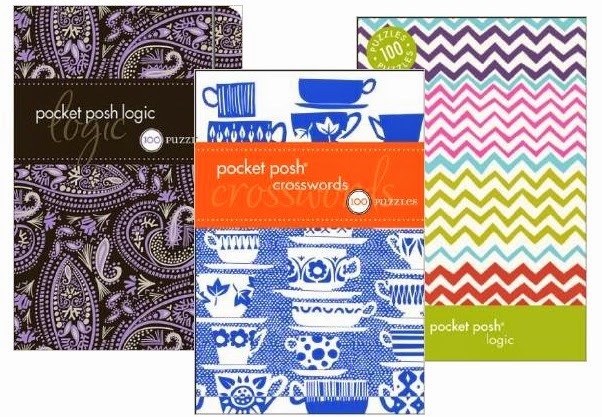 My favorite books are the Pocket Posh Puzzles series that are compact and come in all things puzzle including sudoku, which I'm notoriously bad at, cryptograms, codewords and word search. These fit in just about any pocket of your carry-on, in your purse or in your jacket pocket and have a fancy little elastic bookmark, too. A good card game can keep you entertained for hours. We always bring a couple with us and at least one regular travel game. Not only are they great for the plane, but we have played them while waiting for laundry, waiting for our plane and waiting for our food at restaurants. One or two are easy to slip in a pocket of your carry-on and don't take up too much space in a day bag either. Play on the beach, on a picnic and even keep your kids occupied when having some downtime in the room. 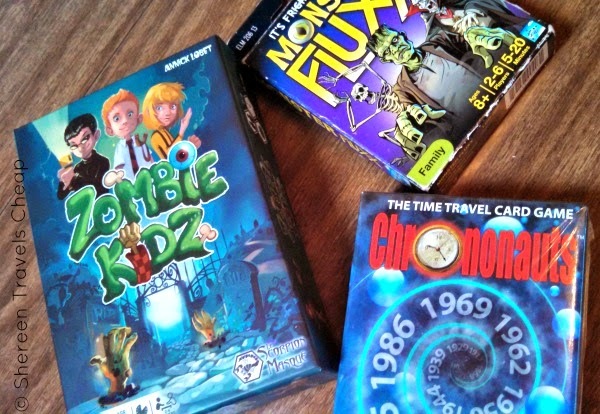 Our favorite games are Fluxx, Chrononauts (you can play this one alone or with others), Zombie Kids board game (yes, this is good for the littles, too) and Cranium Zigity. These are quick-play games so you don't get bored and they can fit in most spare moments. There are lots of fun travel games out there. We try to pick ones that don't take up much room, don't have a ton of pieces and isn't loud. Unless they are magnetic, you might find you lose half your pieces when turbulence happens. I know a lot of people like Bananagrams, dominoes, Apples to Apples and Cards Against Humanity (which is definitely not kid-friendly). Want more options? Just head over to Amazon and find something that fits your and your travel group. If you find an awesome one, please share with us! The tablet is one of the best creations of technology. How else can you you bring hundreds or thousands of books, all your magazines, games, movies, TV shows and unlimited note paper? If you tried to bring everything you stuff your tablet with, you wouldn't be able to lift your bags or even get on the plane. 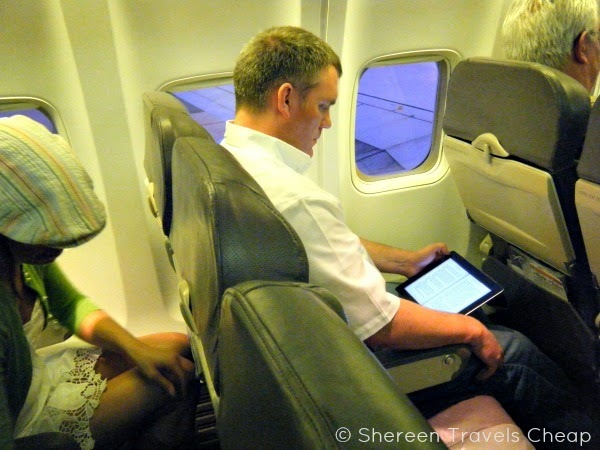 I take our iPad mini with us on every trip and use it to read and play games – somehow I always end up taking notes on things I think of to write about later – and then we use it to get online and check emails when we get to our destination, too. 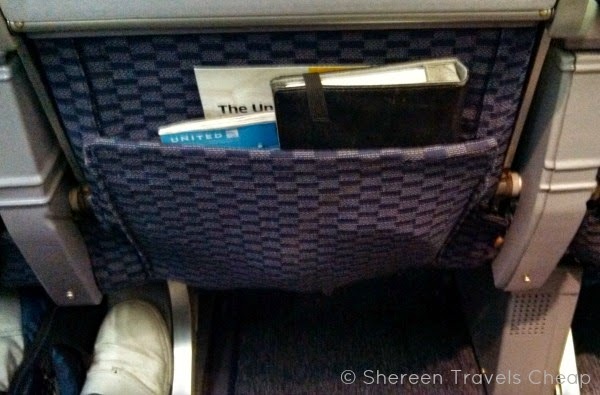 If you have a tablet, it's a great travel item. Maybe you just like to read. I do. I seem to always be reading something and I find it relaxing on my trips when I can just sit back and not be bothered just to read. i know a lot of people have now graduated to the Kindle Fire, but I love the original Kindle – and it still works fine – and like that I can't get distracted by apps. The paperwhite background can't give me a headache or annoy my neighbor and has no glare. The battery lasts for days, too, which means it isn't going to run down, even on the longest flights. 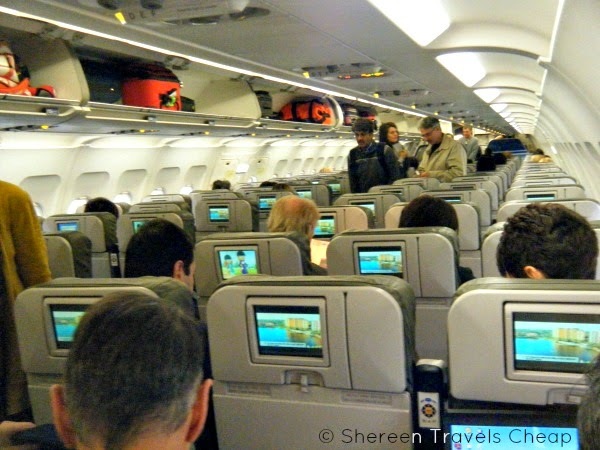 You don't always have the choice of watching movies unless you're on an international flight or a long domestic flight, but if you're lucky enough to be on a plane with a TV screen, you have the option of watching something for the majority of the flight. I'm not sure how many flights still offer overhead screens, but more often than not there are individual screens in the seatback, so you can watch different things. Sometimes you have to give a credit card to watch certain (or all) programming, which I'm not willing to spend money on, because I have my own entertainment. I read a hack not too long ago that I haven't tried yet. 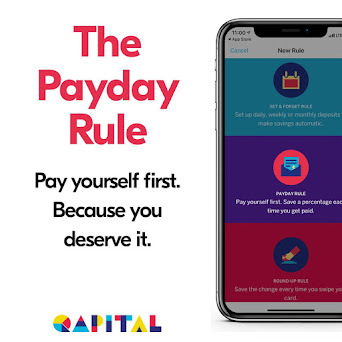 In order to get free watching time on flights where they require you to pay, you can use any card with a magnetic strip (your Target card or a gift card of some sort) before takeoff. It seems that the system needs an internet connection to charge your card, which means it doesn't try until you land again. If this actually works, you can get totally free movies and games! If it works, you're welcome. If it doesn't, I'm just passing along information I found from another traveler, so please don't yell at me if you weren't able to game the system. Make sure to bring your own headphones, too, so you aren't forced to pay $3 for those crap ones they sell onboard. 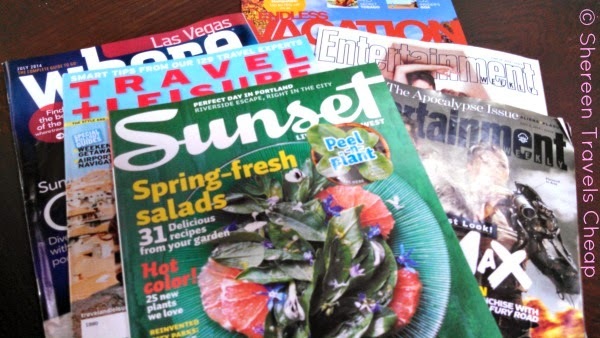 You can't always rely on electronics...and sometimes you just want to flip the pages of a magazine in real life. This is my chance to catch up on my Entertainment Weekly editions as well as other magazines I've picked up with interesting articles. You don't have to bring a lot. Two or three is perfect. If you do it right, you can pass them around your travel partners (and possibly your seatmates would be glad to have new reading material). Once you're finished with them, Either leave them in the seatback or hand them off to the flight attendants as you're leaving the plane. They enjoy some free reading as well. Look at you doing good deeds! My goal is to be done with all my magazine reads by the end of my vacation, so I'm only bringing home new stuff, like the in-flight magazine. It's not hard to pack your carry-on with things to keep you busy on the plane. It's just something you have to think about and add to your packing list so you don't forget. Packing a notepad and a pen is always a smart idea, too. I like to jot down ideas, write down my thoughts on things or even play a game of dots, hangman or tic-tac-toe. Once at my destination, it's handy for writing directions down or getting phone number and email addresses of businesses or people you meet. What are some of your favorite ways to entertain yourself on the plane?